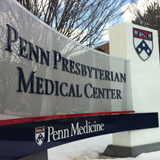 Dr. Barden-Maja is employed by Penn Medicine. Barden-Maja A: Physician perceptions of patient adherence influence and care of diabetic patients Society of General Internal Medicine National Meeting : 2003. Barden-Maja A, Iqbal, N: Unintentional Weight Loss Women's Health Care: Clinical Vignettes : 248-252, Chapter 41,2000. Barden-Maja A: Preconception Care Women's Health Care: Clinical Vignettes : 395-4000, Chapter 64,2000. Barden-Maja A: Internal Medicine Practice Questions Internal Medicine Practice Questions Books 1, 2 & 3 : 2000. Barden-Maja A, Williams S: Managing patients with extreme hypertension Journal Of Critical Illness 14 (5): 245-250,1999. Barden-Maja A: Gout Internal Medicine 20 (4): 40-41,1999. Barden-Maja A: Getting the most out of medical consultation Resident and Staff Assistant 45 (12): 1999. Barden-Maja A: Psychosocial factors and outcomes of hip replacement surgery National Research Service Award : 1997.